A semi-synthetic opioid, oxycodone is produced from thebaine, found in Persian poppy and one among numerous alkaloids found in opium poppy. Oxycodone is a moderately-potent opioid analgesic, oxycodone is used for pain ranging from moderate to severe in intensity. Oxycodone was created in Germany in 1916 in an effort to improve existing opioids. This was developed as a semi-synthetic opioid. Oxycodone is offered as a single-ingredient formula, in both immediate-and extended-release. In UK, it is available as a parenteral formulation of 10 and 50 mg/ml. Combinations as an immediate-release formulation with paracetamol( a non-narcotic analgesic ingredient), and NSAIDs (ibuprofen and aspirin) are also available. Abuse-deterrent combination of the controlled-release formulations are also available in the market. If this one is taken as an injection, naloxone increases opiate withdrawal symptoms and blocking the medication’s effect. Oxycodone was first synthesized from thebaine in 1916 by Freund and Speyer after mass production of heroin was stopped by Bayer due to their hazardous and harmful use and dependence. It was hoped that thebaine-derived drug would help retain analgesic effects of heroin and morphine with less dependency. Unfortunately, this was not to be. It was introduced into clinical practice in 1917. It was introduced in the US market in May 1939. Merck, in early 1928, developed a combination product that contained scopolamine, ephedrine, and oxycodone, under German initials for ingredient SEE, later re-christened Scophedal (SCOpolamine, ePHEDrine and eukodAL). This, essentially is an oxycodone analogue of amnesic condition caused by morphine with addition of ephedrine for reducing respiratory and circulatory effects. Personal notes of Dr. Theodor Morell, Adolf Hitler’s physician, indicated that Hitler received regular injections of Eukodal (oxycodone). In 1960, the US government classified oxycodone as a Schedule II drug. Purdue Pharma, in 1996, introduced OxyContin, a controlled-release oxycodone formula. OxyContin has been a run-away commercial success and has earned around US$31 billion for Purdue. Since its introduction in early 1920s, oral administration was and has the preferred administration route for oxycodone and the drug has been available in the form of oral solutions and tablets. However, countries like the Netherlands and United Kingdom has approved intramuscular (IM) and intravenous (IV) route for administration. When oxycodone was first introduced in Germany during the First World War, both IM and IV administration of oxycodone were used for providing postoperative pain relief to soldiers of Central Powers. Oxycodone is the most active ingredient in OxyContin and has been considered an addictive since 1960s. The 1960s saw United Nations Office on Drugs and Crime classifying oxycodone as a dangerous drug with resultant limits on production. This control was highly effective till 1995 and oxycodone abuse was not widely spread. This was to change dramatically with the introduction of OxyContin in the market in 1996. OxyContin is a time-release medication that is designed for smoothening out the experience and offer continuous and consistent pain control. Unfortunately, benefits of this drug to pain sufferers is what makes oxycodone more alluring and enticing to addicts. Crushing the pills and snorting or injecting the resultant powder helps users feel the benefit immediately. This is the main reason behind the feeling of a rush when used improperly. 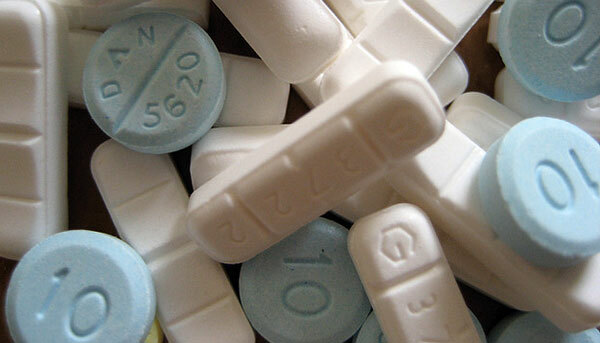 Oxycodone counts for a majority of addiction cases globally. In 1997, a group of Australian researchers proposed that unlike morphine which acts on MOR, oxycodone acts on k-opioid receptors. This proposal was based on a study conducted on rats. Further research (also by this group) indicated that oxycodone appears to be K2b opioid agonist. This conclusion was mainly based on the fact that oxycodone produces effects similar to u-opioid agonist. In 2006, a Japanese group suggested effects of oxycodone is mediated by different receptors at different situations. Since 1916, oxycodone has been medically and clinically used for managing a person’s moderate-to-severe pain. Quality of life of a person who is suffering different kinds of pain also improves with its use. However, jury is still out with regards to its use for managing pain which are not cancer-related as a majority of opioids have greater propensity for dependency and can lead to development of paradoxical pain sensitivity in a person. Oxycodone is present in the market as a extended-release tablet, intended for 12-hour usage. A review of oxycodone in 2006 mentioned that controlled-release oxycodone can be compared to immediate-release oxycodone, hydromorphone and morphine in managing moderate-to-severe pain related to cancer with relatively lesser side effects than those caused by morphine alone. In 2014, use of oral oxycodone was recommended European Association for Palliative Care as a second line of defense to oral morphine for cancer-related pain. In the US, extended-release oxycodone is approved by FDA for use in children above 11 years. The formula is approved for managing pain caused from cancer, trauma, surgical and post-surgical pain, and for children who have undergone treatment with different opioids too. Adults or adolescents who have the ability to tolerate up to 20 mg of oxycodone per day can be administered the said dosage and is said to provide a substitute to fentanyl (the only other extended-release opioid analgesic that is approved for use in children). The popularity of OxyContin has been such that a study in 2015 by National Institute on Drug Abuse found at least 3.7% of all 12th graders in the US have had access to and abused OxyContin. The most common adverse reactions reported by patients in various clinical trials that compared OXYCONTIN with placebo are shown in the table below. Oxycodone does produce adverse effects in patients for the first few doses. There are various side effects that are common, known, unknown, and rare. Checking with the doctor immediately upon development of these is optimal way for preparing for any situation which can arise from use, abuse and misuse of oxycodone. Some of the common oxycodone side effects include nausea, constipation, vomiting and drowsiness. Other side effects are asthenia, xerostomia, diaphoresis, difficulty in bowel movements, lack/loss of strength, and extreme sleepiness. Sometimes, unwanted side effects require either immediate medical attention or over an extended period of time. Side effects of oxycodone can also include decreased sensitivity to pain, euphoric and relaxed feeling, hypoventilation and anxiolysis. Major side effects that are relatively lesser known include chills, confusion, cold sweats, breathing difficulties, dizziness, fever, twitching, lightheadedness, and chest tightness. Besides, abdominal pain, loss of appetite, dyspnea, nervousness, urinary retention, and hiccups are some other side effects. Less common oxycodone side effects also include abnormal dreams, burning in stomach, belching, heartburn, tenderness and discomfort in stomach, and sleep troubles. Minor side effects from oxycodone may not need medical attention. As the body gets adjusted to medicines, these side effects tend to disappear. If the side effects continue, then you may need help of a healthcare professional who can help reduce these side effects. If you are concerned about side effects, do keep a check and contact medical practitioner the moment it gets worse or transitions from minor to major side effects. Incidences relatively unknown after oxycodone use include blurry vision, diarrhea, clay-colored stool, pale or blue lips, skin and fingernails. Serious side effects warrant immediate attention and help in rehabilitation center/program. These begin with feeling lightheaded or dizzy and fainting and could then transcend to respiratory complications like slow and/or difficulty in breathing. The patient could also show swelling in the face and throat. Rashes and hives on skin, feeling of chest tightness along with changes in rhythm or heartbeat are also witnessed in the more life threatening cases. It could start with chills and fever and could then transition to shakiness in extremities and uncontrolled twitching. Oxycodone’s serious side effects can make patients uncomfortable and these tend to worsen with dose increase and needs medical attention and help. The effects worsen when oxycodone is used in combination of alcohol as it results in higher risks of serious and even fatal consequences, especially from severe respiratory problems. Overdosing on oxycodone can result in shallow breathing, slow heartbeats, clammy/cold skin, pause/s in breathing, respiratory arrest, hypotension, constriction of pupils, and even death. Spinal cord infarction can also occur if a patient is overdosed on oxycodone. It can also lead to brain ischemia as a result of prolonged hypoxia due to suppressed breathing. Like any other opioid overdose symptom or reactions, this one also includes hypogonadism or hormonal imbalance as a result of excessive oxycodone use. Physical dependency and discontinuation of oxycodone abruptly makes patient experience severe withdrawal symptoms. When the person has been taking doses regularly over a sustained period of time, then it should be tapered gradually. Risks of severe withdrawal symptoms for recreational users of oxycodone or at increased doses are greater. Oxycodone overdose and withdrawal symptoms include anxiety; panic attack; nausea; insomnia; muscle pain and weakness; fevers and flu-like symptoms. Even newborn babies whose mothers have used or abused oxycodone orally during the pregnancy can experience withdrawal symptoms. OxyContin withdrawal symptoms vary among every individual and those who undergo detox process may experience three withdrawal stages. In some users, these stages begin within eight hours after the last oxycodone dose. Stage I begins within 8 hours after last dose, staring with intense drug craving, mood swings with anxiety, mild dysphoria, and fear of depression. Stage II starts from 8 hours of last oxycodone dose to up to 24 hours where the person experiences runny nose, stomach cramps, watery eyes, restlessness, insomnia, profuse sweating, and continuous yawning. Stage III starts after 24 hours of last oxycodone use and begins with fever, chills, diarrhoea, tremors, muscle spasms, joint pains, nausea and vomiting, increased heartrate and hypertension. Overall, withdrawal from any opioid is difficult and painful, but is rarely life threatening. However, it can lead to sustained drug use for avoiding these symptoms. If one is taking oxycodone/OxyContin in large doses daily, then it merely avoids onset of withdrawal, but wise decision would be talking to healthcare professionals for assessing addiction level and process of getting over it through detoxification and rehabilitation process. The best way of getting through withdrawal symptoms is a hospital or professional health centre setting, even if long term inpatient rehab program is not taken up, instead of trying to overcome withdrawal symptoms at home. Oxycodone signs and symptoms are classified as physical symptoms and behavioural signs and symptoms. Physical signs are noticeable with eating habit changes resulting in noticeable body weight changes. Changes can also occur in sleep patterns which include insomnia and other sleeping difficulties. A dishevelled appearance as a result of improper hygiene and appearance is prominent. The individual has bloodshot eyes, constricted pupils, slurred speech and impaired coordination. The extremities are jerky and shaky. Behavioural signs and symptoms include mood swings. He/she can have volatile temper, varying energy levels with feeling of intense energy followed by feeling of crashing and depression. User starts performing poorly at school and/or workplace. The individual becomes either secretive or dismissive about activities and loses interest in favourite pastimes. Shutting oneself from friends, colleagues and family members who disapprove drug use is common. Financial problems leads to stealing or borrowing money from people around them. Very often, there is slow or little transition from using drugs for recreation to addiction. Those in the grip of this drug start this as a casual use with transition to compulsive use. If one has progressed from occasional recreational use to compulsive use, it indicates serious OxyContin addiction and would be best to seek professional medical or clinical help. Prominent physical signs of addiction and subtle behavioural changes are clearest indication about something wrong with the user and the individual is in need of OxyContin/oxycodone rehab help. Psychological addiction to OxyContin remains a lifelong battle for some users. One good thing is that a majority of these mental side effects will resolve over time when OxyContin/oxycodone is stopped and staying off of it permanently. Since narcotic drugs (both street drugs and prescription medications) have high relapse rates, it is important to help with relapse prevention. To stay in contact with a therapist and making sure you know where and how to attend for free support group meetings can help maintain abstinence once you are freed from the addiction. Once addicted and need to overcome arise, overall treatment would include behavioral counseling along with medications. 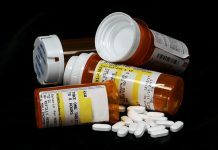 Some medications used for easing opioid dependence would include naltrexone (prevents opioid from activating receptors in the brain completely), Vivitrol (extended-release injectable form of naltrexone) and Methadone (long-acting synthetic opioid that aids with withdrawal symptoms and relieves drug cravings). Cognitive behavioral therapy addresses coping skills to prevent relapse. The medication should be taken only as prescribed. Feeding mothers who take oxycodone feel drowsiness or breathing problems while nursing baby. Following all directions on your prescription label is mandatory. Never take this medicine in large amounts or longer than the prescribed timeframe. Inform your doctor if medicine stops working and doesn’t relieve pain. This is a habit-forming medicine and sharing it with another person, especially someone with a drug abuse or addiction history is a clear NO. Misuse of such medicines can cause addiction, overdose or even death, especially in those who use it without prescription. Selling and giving oxycodone is against law. When taking extended-release oxycodone, stop taking all other narcotic pain medicines. Always take this medicine with food and never crush, break or even open an extended-release tablet. To swallow entire tablet for avoiding exposure is wisdom. Measuring liquid medicine with dosing syringe is important when dose is to be taken in prescribed quantities. To stop using oxycodone abruptly is not advised. Following doctor’s advice about increasing or tapering any dose is a good idea. Never crush the pill even to inhale the powder or mix with any liquid for injecting it into the vein, as this can cause death. Keep the medicine away from heat, moisture or light; storing it in room temperature is best. Keeping a track of the medicine is important as it is a drug of abuse. Flushing any unused pills or liquid down the toilet drain is always better than keeping it with the other medicines that come handy each time the medical kit is picked up. Precaution is always better than cure and so keeping eyes, ears and nose open is good for those in the family or friends, who are vulnerable and susceptible to getting into this habit of addiction easily. How long does cocaine stay in your blood, hair or urine? RehabCommunity.org is a full featured blog and community forum dedicated to help people fight addiction and get over their withdrawals. Every recovering addict is a hero!